(Lincoln City, Oregon) – One town wants help finding a theme for its massive kite festival, while another hosts a bundle of events in the great outdoors of the central Oregon coast. Lincoln City may get you a free glass float, while Cape Perpetua, near Yachats, is getting you back to nature. At the Cape Perpetua Visitor Center, December 5 brings “Cougar Encounter” at 2 p.m. Siuslaw National Forest Interpretive Specialist Dave Thompson retells a personal encounter he had with a mountain lion while working for a national park in California. Along the way, audience members will learn interesting facts about this secretive and often maligned animal. No RSVPs necessary. For information, call the Cape Perpetua Visitor Center at 541-547-3289. December 12 at 2 p.m. gets deep – really deep - with Beauty from the Beast. The same geological forces that threaten our lives with earthquakes and volcanic eruptions also nourish our spirits by forming spectacular mountains, valleys and coastlines. Dr. Bob Lillie, emeritus professor of geosciences at Oregon State University, will share the science behind the scenery. On December 19 at 2 p.m., it's “Old-Growth Forest Hikes.” Learn about the characteristics and ecology of coastal old-growth forests during a ranger-led hike. All ages and hiking abilities welcome. No RSVPs necessary. For information, call the Cape Perpetua Visitor Center at 541-547-3289. Whale Watch Week goes from 11:30 a.m.-1:30 p.m. those days. Volunteers trained through Oregon State Parks’ “Whale Watch Spoken Here” program will be at the Cape Perpetua Visitor Center and viewpoints throughout the Cape Perpetua Scenic Area to help visitors spot and learn about grey whales during the mammals’ winter migration to their breeding grounds off Baja, Mexico. For information, call the Cape Perpetua Visitor Center at 541-547-3289. A bit further north, Lincoln City needs your help. Kite fliers from around the Pacific Northwest will be gathered at the D-River Wayside on June 25 and 26, 2016 for the 32nd Annual Summer Kite Festival in town. This annual festival is a celebration of professional and leisure kite fliers with some of the most colorful big show kites in the world. 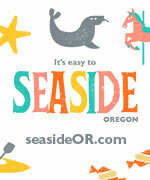 However, before the kites can take flight, the Lincoln City Visitor and Convention Bureau (VCB) needs a theme. Last year's festival theme, "Veterans" was a resounding success with patriotic kites and activities honoring active duty personnel, military veterans, and their families. Progressively working through the alphabet, a new theme must be determined using the letter "W" for this year. The VCB will hold a naming contest through the month of December. Enter by visiting www.oregoncoast.org/kite-contest/, where you can submit your entries using the letter "W" in naming the theme. Multiple entries per person will be accepted, provided the submissions are unique. One lucky contestant who helps name the 2016 Kite Festival theme will win a hand-made signature glass float from Lincoln City's popular Finders Keepers program. Contest to be held December 1 through 31, after which a winner will be determined based on the most creative use of the letter "W." Festival organizers will select the winning theme, and a random drawing will be held in the event of duplicate winning submissions. Must be 18 years of age or older to enter. For more information about the Kite Festival Theme Contest, contact the Lincoln City Visitor and Convention Bureau at 800-452-2151 or visit www.oregoncoast.org. More about these areas below and at the Upper Lane County Virtual Tour, Map and the Lincoln City Virtual Tour, Map.